When waiting at the super-crowded entry to fetch our tickets and our guide, we knew that there was something fishy with this place. 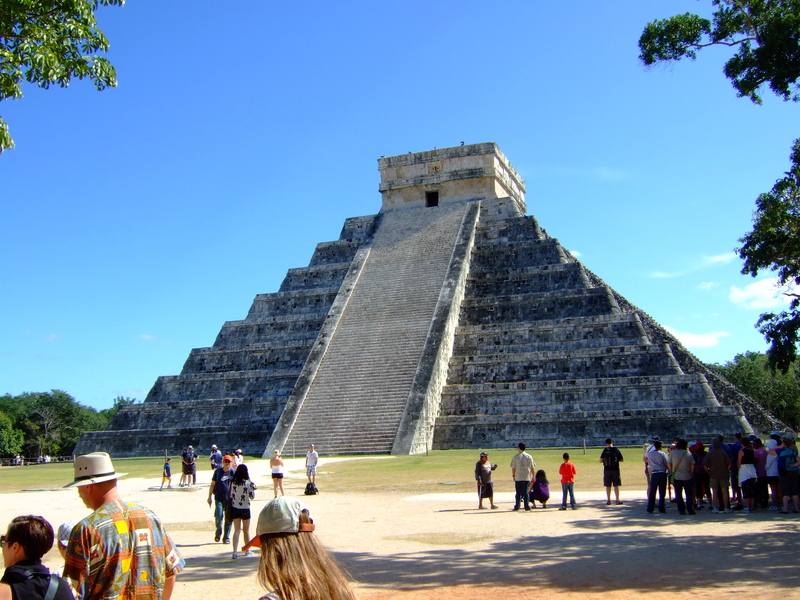 To start with, none of the visited Mayan sites had sooo many tourist as Chichen Itza (though some of them are as fun, if not more fun than this place), and none of the sites required a local guide to join you on your trip. 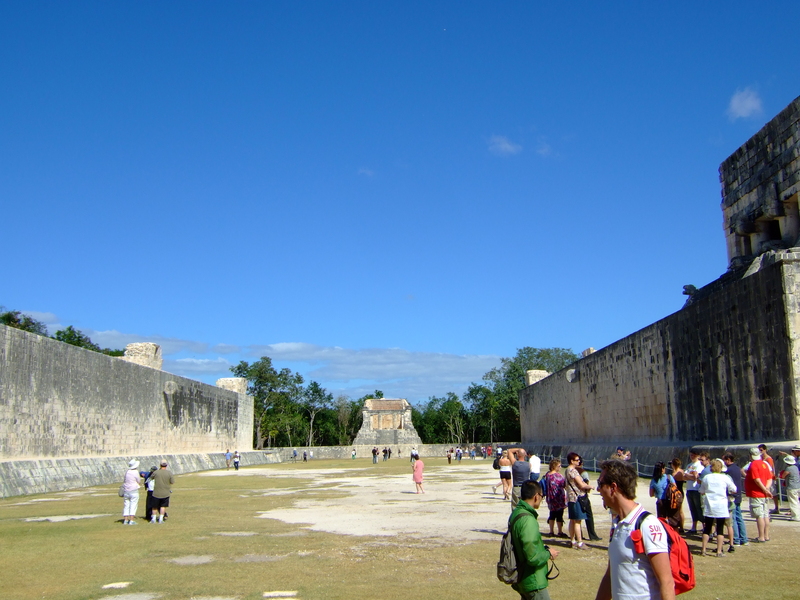 Literally, you cannot walk on your own at Chichen – you have to have a guide with you even if you are there as a couple (which would be an interesting investment anyway for two), so instead, you would join another bunch of tourist to save quite some sum – and to loose completely the experience of walking around at historic sights on your own pace. 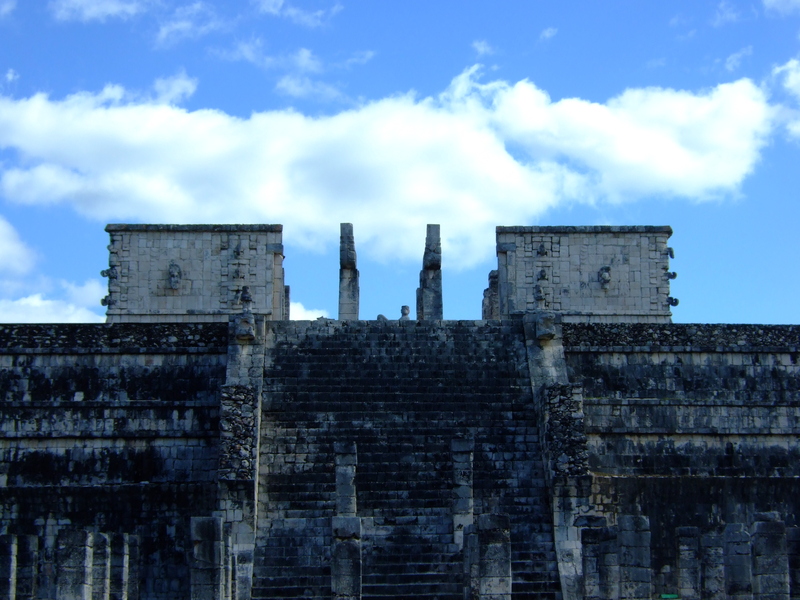 The other downside of a super popular Unesco World Heritage site – in comparison with other awesome Mayan sites – is that you cannot climb up to any pyramids anymore where – unless you are some popular singer shooting some videos here (damn you JLo). Nonetheless, if you happened to be around, go there, see it, walk around and admire the history and the culture, try not to fall for the marketeers (or is it only me who don’t believe in the concept of local marketeers in large amount at big popular places?? 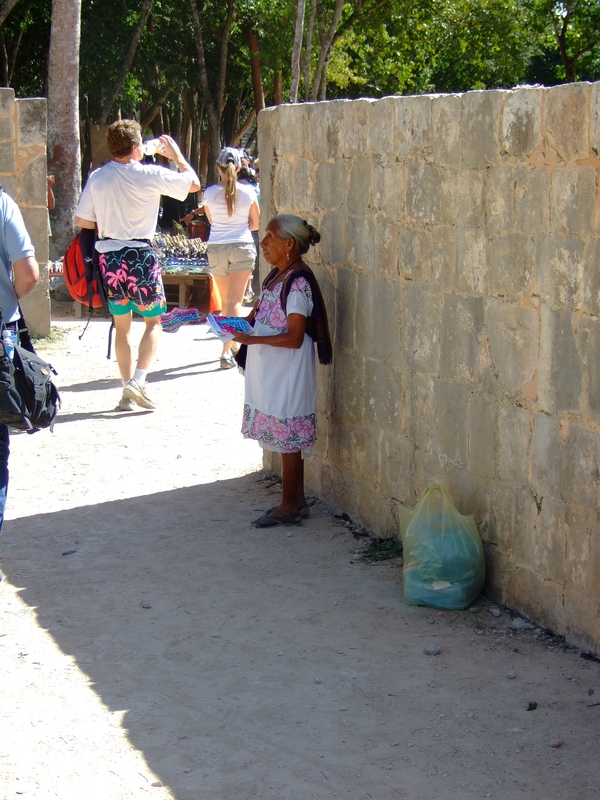 ), and make sure to have a loads of water with you – because it might get hot and dusty out there. 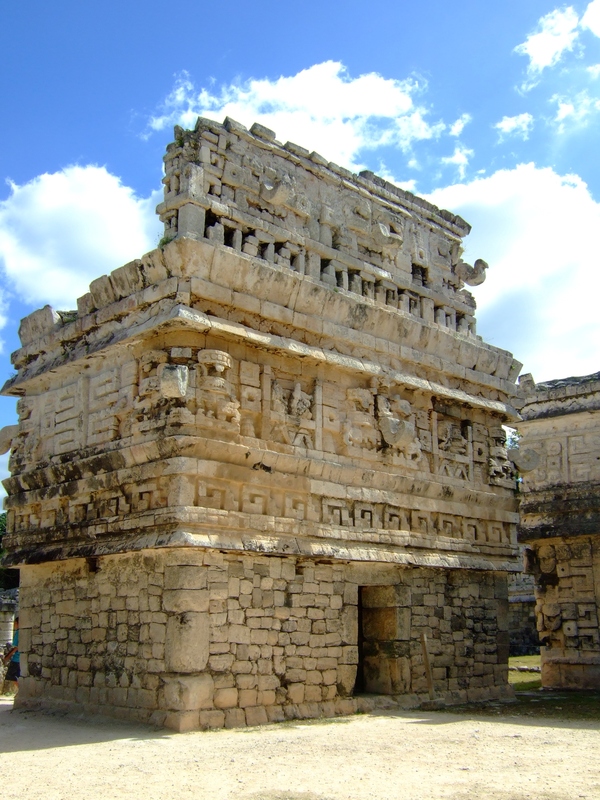 Wiki has pretty well-kept information about Chichen Itza that I don’t want to retype (hope you don’t mind, my humble reader), so if you are interested, head for this site, read along before/after browse through the photos below. 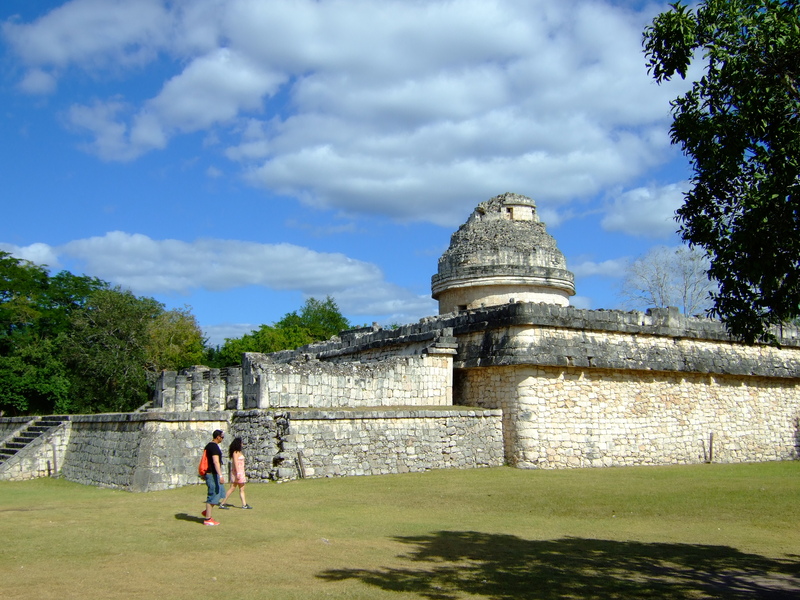 El Caracol - The Observatory, a totally underestimated building of importance at Chichen. 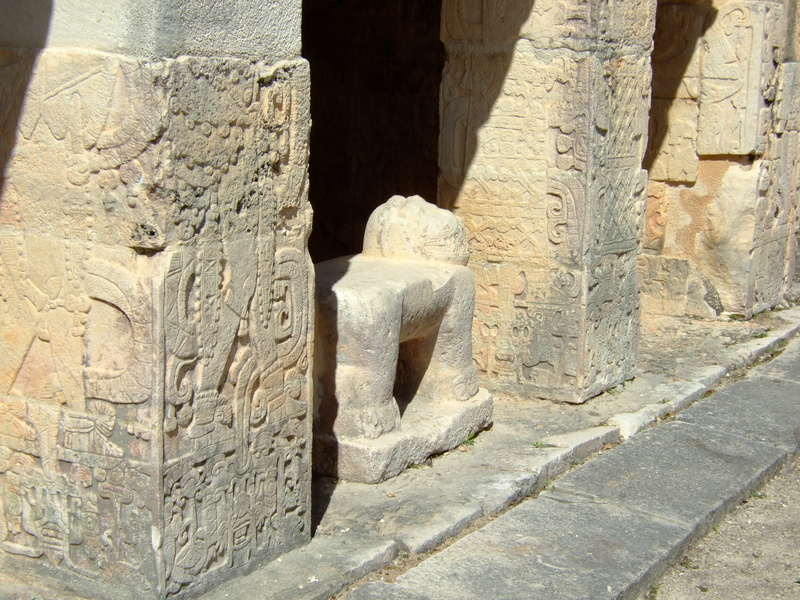 La Iglesia at the Nunnery. Engravings and statuettes overload. 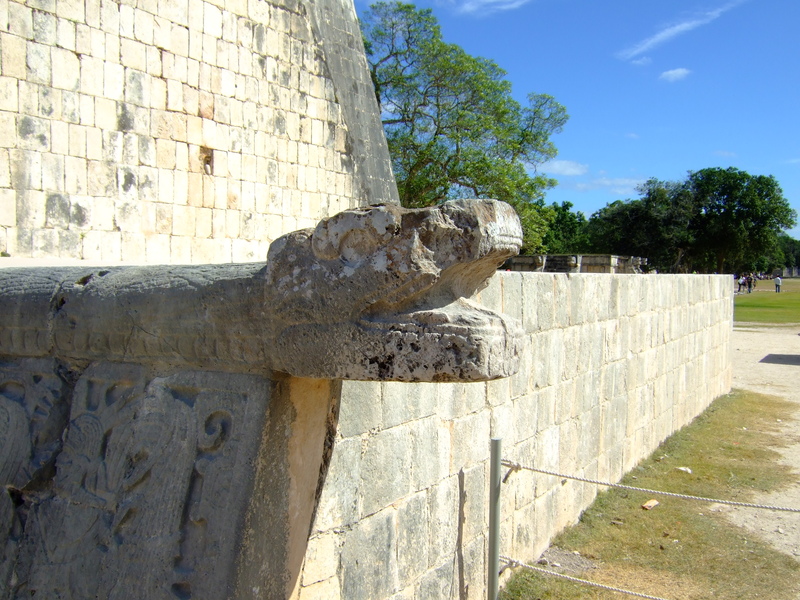 Kukulkán at the Great Ball Court. 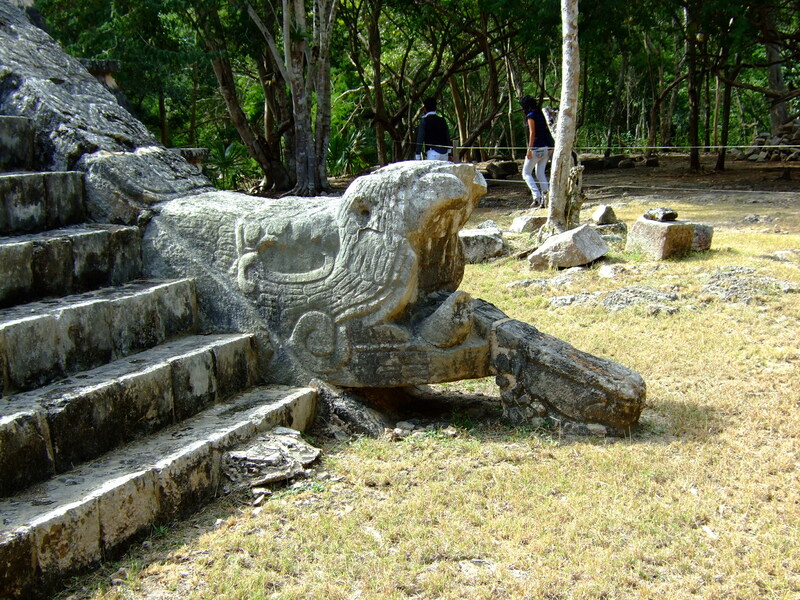 A Maya marketeer - in full size (average Mayan height is not higher than 165 cm).